Previous honorees include producer Will Packer and actress Diahann Carroll. 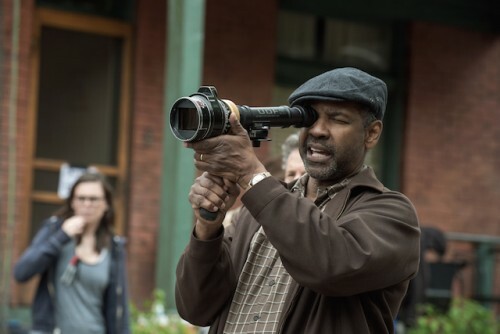 BET Networks and the American Black Film Festival (ABFF) will present actor/director Denzel Washington with the Hollywood Legacy Award at the “American Black Film Festival Honors” event. ABFF Honors celebrates black culture by honoring individuals, movies and television shows that have had a significant impact on American entertainment. An iconic actor, Washington is a two time Academy Award winner and helmed the film adaptation of August Wilson’s “Fences,” which recently earned him an Oscar nomination. Also slated to receive honors is writer, producer and actress, Issa Rae, the creator of HBO’s “Insecure” and director F. Gary Gray, whose credits include the comedy “Friday,” “The Negotiator,” “Set if Off,” “The Italian Job” and the upcoming eight installment of “The Fast and the Furious” franchise (“The Fate of the Furious”). The awards gala will be held February 17 at the Beverly Hilton Hotel in Beverly Hills, Calif. and airs on BET and Centric, Wednesday, February 22 at 8:00PM ET (check local listings).